All the outdoor patio space with gardens & seating area and loungers. It's quiet & private. Nice cats & chickens that live nearby. We liked the walk into town and the private waterfront. We stayed an extra night. Plus, extra bonus was being picked up at the ferry. Direct access to a private rocky beach with sunbeds, proximity to the village of Gaios, to the port and to several beaches. Pick up at arrival and drop off at departure, shaded terrace, daily cleaning service. Stunning views/location. Antonia was very friendly, helpful and profeasional. Nice and quite villa with a fantastic view, comfortable,cosy with 2 bathrooms, patio in front and a backyard. Very comfortable with views of sea and its own private swimming area. Nice walk into town. Antonia very helpful and dropped us at ferry terminal. 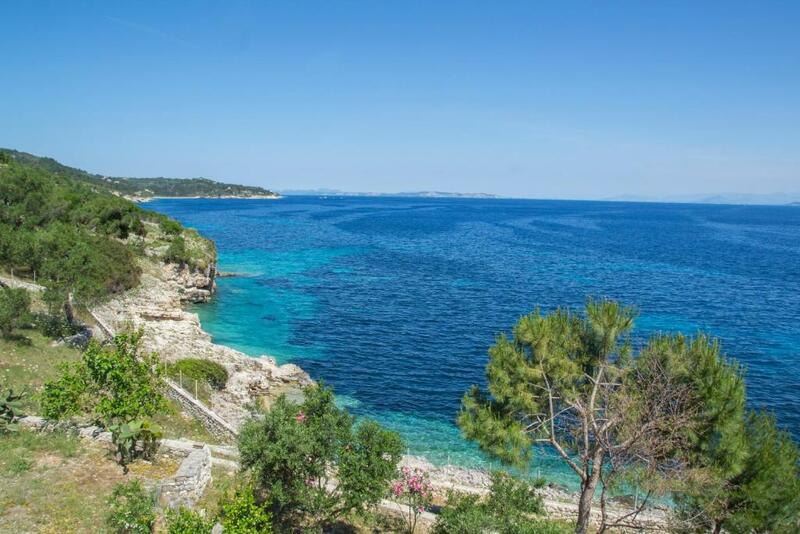 Lock in a great price for Paxos Sunrise Villas – rated 8.7 by recent guests! One of our best sellers in Gaios! Perched on a small hill in Gaios Village and surrounded by olive-trees and colorful flowers, Paxos Sunrise Villas features a sun terrace with unobstructed views over the Ionian Sea. It offers self-catering accommodations with free Wi-Fi and a balcony. 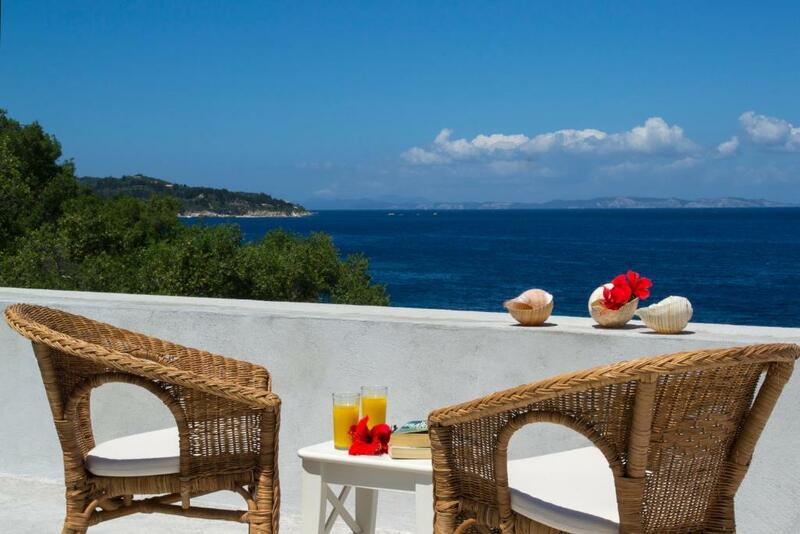 Overlooking the sea and the blossomed garden, the studios and apartments of Paxos Sunrise are fitted with tiled floors, wooden furnishings and soft colors. Each air-conditioned unit features a kitchenette with dining area, fridge and a small electric oven. A fan and a TV with satellite channels are also available. The property can assist with scooter rental. 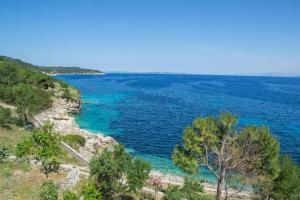 Guests at Paxos Sunrise Villas enjoy easy access at the pebbled beach, located right underneath Paxos Sunrise Studios. Paxoi Port is at 984 feet, while the center of Gaios, where taverns and shops are featured, lies within 0.6 mi. The owners can help with car rental services. Free public parking can be found on site. 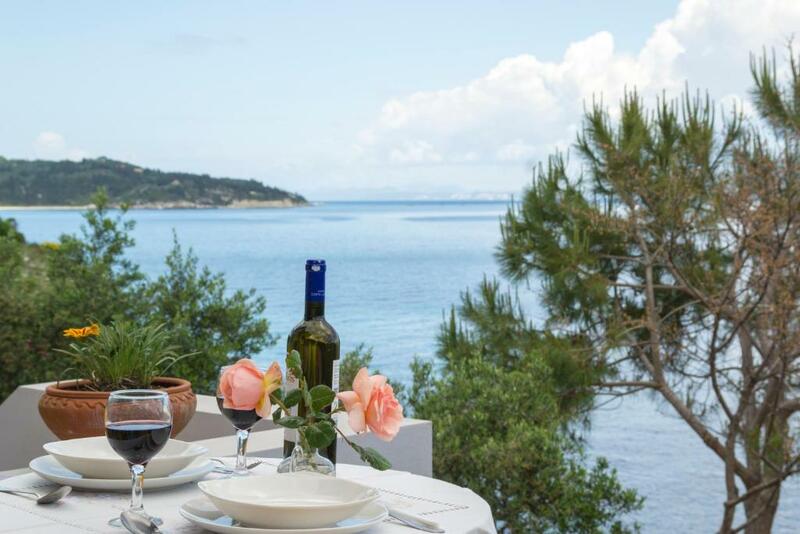 When would you like to stay at Paxos Sunrise Villas? Offering BBQ facilities, sun beds and direct access to the beach via a few stairs, this spacious villa has 2 bedrooms, a fully equipped, open-plan kitchen, living room and free Wi-Fi. Features private garden, terrace and BBQ. Please note that this villa can accommodate 1 extra guest at a sofa bed (see Hotel Policies). Surrounded by a private, green garden, this studio has is only a few steps from the beach. Offers a seating area, kitchen area separated by a counter and a king-size bed in a seafront bedroom. 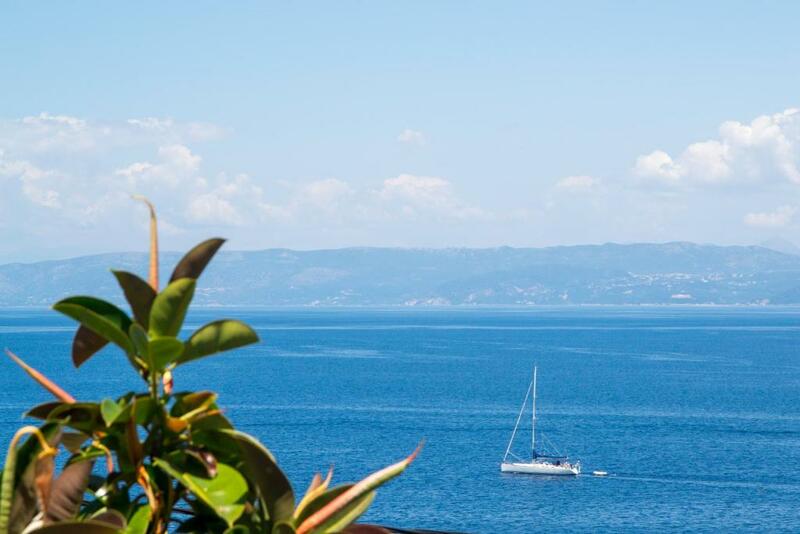 Features a garden and balcony for sunbathing with view to the Ionian sea. Includes sunbeds, outdoor table, BBQ facilities and on-site parking. Please note that the 3rd guest is accommodated in extra bed. Please note that this room type is independent. Right by the beachfront, this new stone-built house featuring a spacious, separate bedroom with king size bed, and and an open-plan kitchen with living area and sofa bed. It has a terrace, a private garden and an outdoor dining area with BBQ facilities. Facilities include air conditioning, satellite TV and free WiFi. Offering views over the sea, this beachfront studio has a spacious garden, a private terrace with sun loungers, an outdoor dining area and BBQ facilities. It has an ope-plan kitchen with seating area and also includes satellite TV, free WiFi, coffee machine and air conditioning. 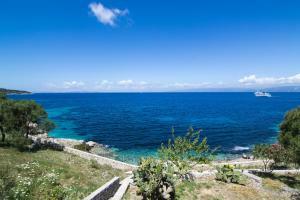 House Rules Paxos Sunrise Villas takes special requests – add in the next step! Paxos Sunrise Villas accepts these cards and reserves the right to temporarily hold an amount prior to arrival. Please note that daily housekeeping is provided free of charge. Please note that for the months of July and August, a prepayment deposit of 30% via bank transfer is required to secure your reservation. The property will contact you after you book to provide any bank transfer instructions. Please also note that guests have to pay in cash upon arrival. Please note that rental of ATV vehicles can be provided on request and at extra charge. Extra beds and baby cots can be provided only on request and availability. Free shuttle service from/to Paxoi Port is provided. Please inform Paxos Sunrise Villas of your expected arrival time in advance. You can use the Special Requests box when booking, or contact the property directly using the contact details in your confirmation. Very basic interior. No shower curtain - water went everywhere. Bed uncomfortable. Bad lighting. Badly equipped in the kitchen. We feel there should have been a few basics things provided. There was half a roll of toilet paper and enough soap in the dispenser for one or two washes. No salt and pepper etc. nothing. The lighting was terrible - similar to strip lighting. Not somewhere you wanted to spend time in the evening. But otherwise it was a lovely location. Just the house was disappointing. Great facilities and view is astonishing. Shower box, there is no door !! !